One service you want to consider when choosing your full-service exhibit firm is how your properties are stored. This is important to include in your original RFP because you want to be thinking long-term. When the drama and excitement settles down after the debut of your new custom trade show exhibit, you want to be sure that your exhibit will continue to get the same care and pampering that it received on the show floor. It is important to find out what their warehouse tells you about your exhibit firm, so if possible, be sure to inspect where your exhibit will be stored before signing the final papers. To illustrate our point, we sent our reporter out to the Exhibit Network warehouse to talk directly to the source. Interviewer: Well, hello, warehouse. Thank you for taking time to talk to me. Interviewer: This place looks amazing. You know, I’ve been to several other exhibit warehouses and you are different. I think the difference is you are so spotless and organized. Interviewer: Do you mind if I look around? Let’s see, you cover 42,000 square feet, have a 28’ ceiling, seven dock-high doors, one ramp door, 4 forklifts, pallet jacks, extra pallets, large platform scale, lots of dollies, and dock plates. It seems you have everything here you need to be strategic and efficient. Interviewer: And those racks! Three levels of industrial grade racks throughout the entire place. That is so freaking resourceful. I like the way everything is so organized and systematized. Excuse me for asking, but are you just a little OCD? Interviewer: I bet you save your clients lots of money because you can pull and prep their properties in the least amount of time possible. Interviewer: That’s all I have time for right now. If I may say so, I think Exhibit Network totally rocks the (ware)house! 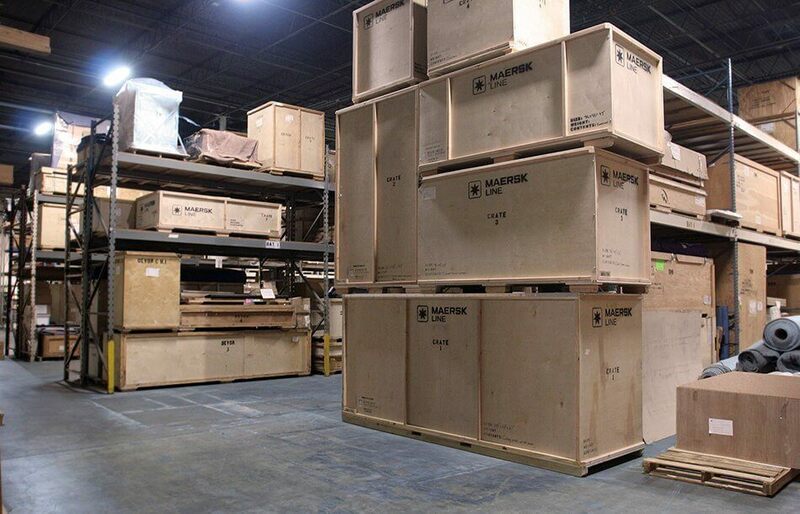 Your exhibit runs the risk of being damaged, lost, or left off the truck when stored carelessly. That’s not how you want your investment to be treated. You want to be sure it is cared for so it looks amazing for years and years. Where and how your exhibit is stored between shows is just as important as how it is designed, built, transported and installed. Exhibit Network would be pleased to give you a tour of our warehouse and to show you how we care for and pamper your exhibit properties between shows. Give us a call today at 713.290.1212 or email us at team@exhibithouston.com.